Oh it IS that big of a deal that it needs a post all to itself! We got a new dishwasher recently :) It was an exciting day. We had one but I'm pretty sure it was from the 70's, and it decided it wasn't in the mood to make things clean and sparkly anymore. I did not find the left over soap and random food bits quite as humorous as the old dishwasher did. The phrase oldie but a goodie need not apply. 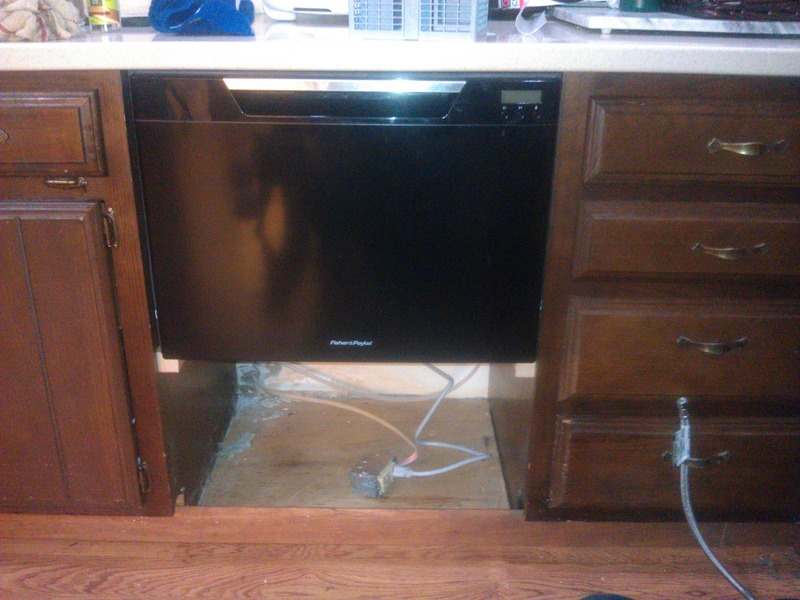 However, on a happier note, the new lil' dishwasher is sleek and sassy! ;) Oh yes, she is sassy and she cleans those dishes with pizzazz! (I humanize every inanimate object... 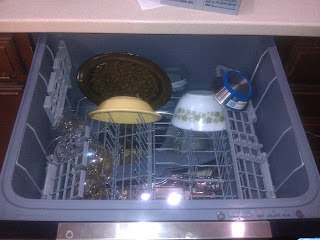 I'm not sure why....) I've never seen my dishes so shiny. I didn't know it was possible! And until we put a cabinet drawer underneath it, the cats are loving the new hidey-hole, at least until it starts humming and whirring once it starts up, then it's a deadly metal monster out to end their days. But to me, I don't care what kind of noise comes out of it, it is my new favorite thing. Hooray for dish washers! How will I ever decide what to do with all this extra free time? ?